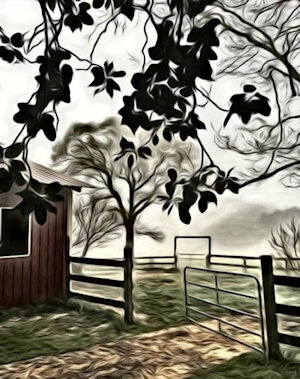 My friend MaryBeth Gokee worked a little magic on a photo I took of my barn. Really interesting. I love it. Spring came early this year in lower Alabama, and it has me hopping on the farm. I’ve been fighting a battle with stinging nettles in the pasture. These are really mean little plants. They look so tender and sweet, but don’t dare reach down to pull them by hand. They have a spiny stem that delivers a whopping pain. It feels like sticking your hand in a fire ant hill. They have to go. Cutting them only seems to spread them and they grow on a rhizome so digging them up is more than I can manage. I want my horses to have nice pastures! I’m also having some sod delivered to cover the place where the pool used to be. I do not miss the pool at all. I was afraid I’d second guess my decision, but no. I’m far too busy with writing and animals to deal with a pool. So a lot of my March focus is outdoors, and it has been a really pretty Spring. This month BONE-A-FIED TROUBLE was released and it has been met with a fine reception. 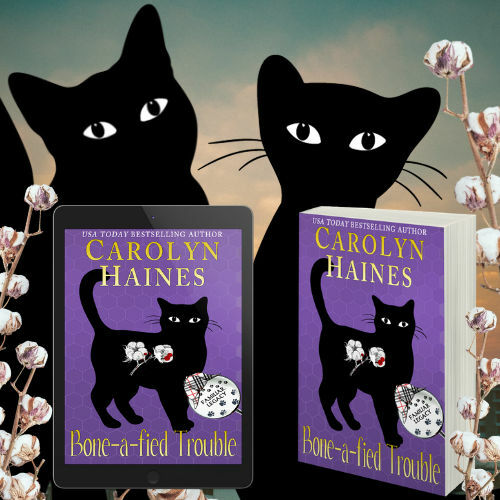 I love writing about Trouble, the black cat detective, and this book blends the Sarah Booth world with Trouble’s world. It was great fun, and I hope it’s a twisty mystery. It’s the 9th book in the series. More books are set for the remainder of 2019 so keep an eye out for them. But that’s not my only book news! 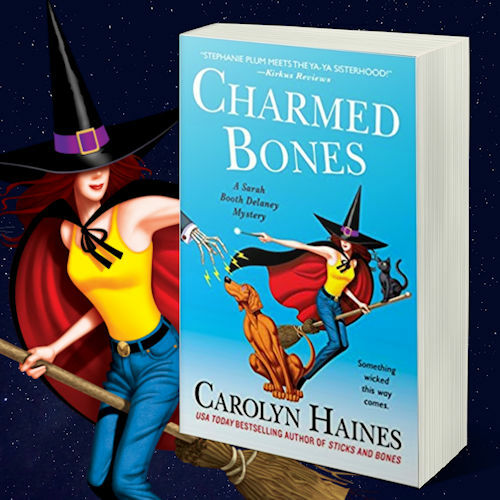 CHARMED BONES is out in paperback! Fun, fun, fun. And only two more months until GAME OF BONES (May 14). I’m getting a big honor next month—the Alabama Library Association is awarding their Lifetime Achievement Award April 3 at a luncheon at the Grand Hotel in Point Clear. I will try to behave and act appropriately. This is hard for me. I love being a clown. 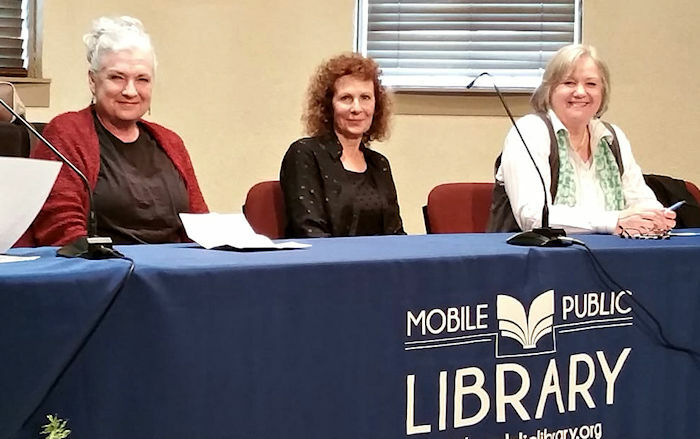 At the Mobile Literary Festival with fellow authors Susan Y. Tanner and Rebecca Barrett. I’ve made some really terrific friends in the world of authors. You all know that Dean (Miranda) James is like my brother. But I want to introduce you to a couple of “new” friends. Carolyn Aspenson has a couple of series going, and I really enjoy her books. I asked Carolyn to write a little introduction. Carolyn and I not only share the same name, but we both sometimes see ghosts, and she and her mother were very close, as I was with my mom. 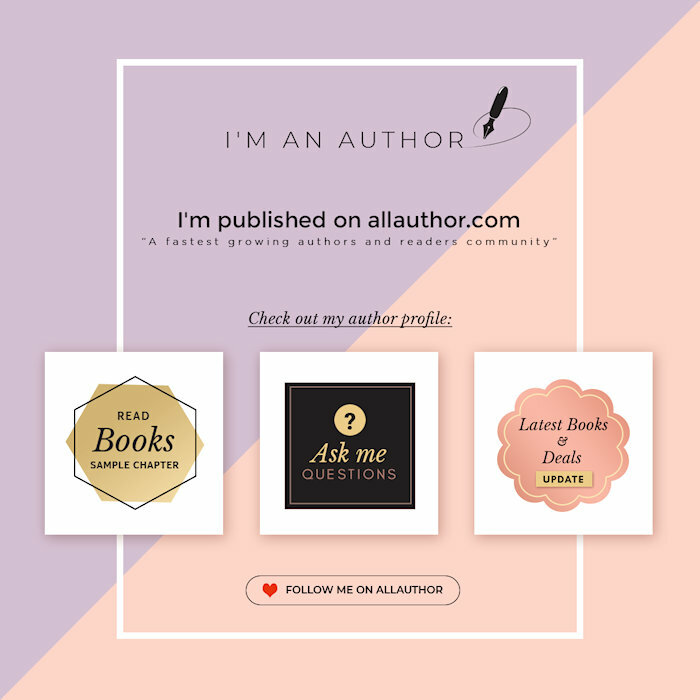 I hope you’ll take a look at some of Carolyn’s books. 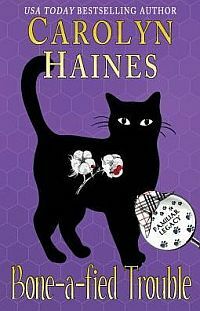 I love the Angela Panther mysteries. Please check her out because you never know what two bad Carolyns can get up to. 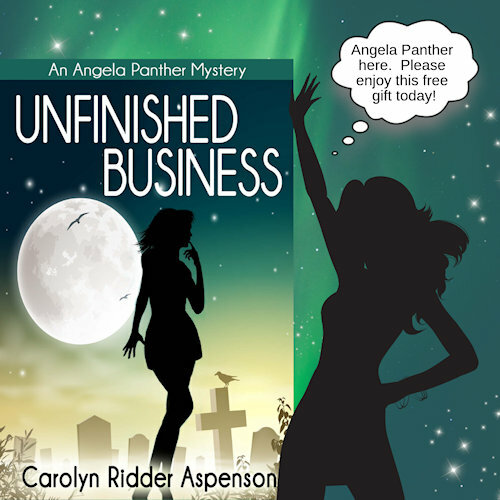 UNFINISHED BUSINESS — An Angela Panther Mystery is a book that’s close to my heart. 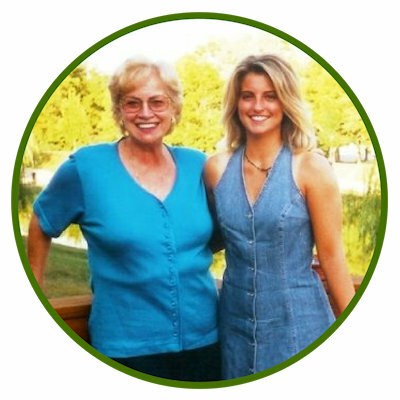 In 2009, my mom passed away from lung cancer. A few short days after she died, I sat in a Starbucks, still stunned and obviously grieving. I watched the customers come in and out, going on with their lives as if nothing happened. I realized then the world had just lost this incredible woman, this woman who was fiercely loyal, who had an emotional strength I’d never seen before, and life just went on like every other day. I hated that. I wanted people to know her, to experience her the way I had—all of her wonderfulness as well as those frustrating motherly traits we all take for granted. I wrote UNFINISHED BUSINESS to honor my mother and to share her with the world. The novel, the first is a series of four novels and five novellas, is my way of keeping my mother alive. The series is focused on spirits, one of which is based on my mother, but it’s also about the dynamics of relationships—those we hold close to our hearts, and those we wish we could keep forever. This series is special to me, and I hope you’ll find my mother as alive in the pages of my stories as when was when she was still here. And here’s another treat from my friend Larissa Reinhart. I’ve been in an anthology with Larissa and she’s smart as a whip. We are also both former teachers. You’re going to love her books. 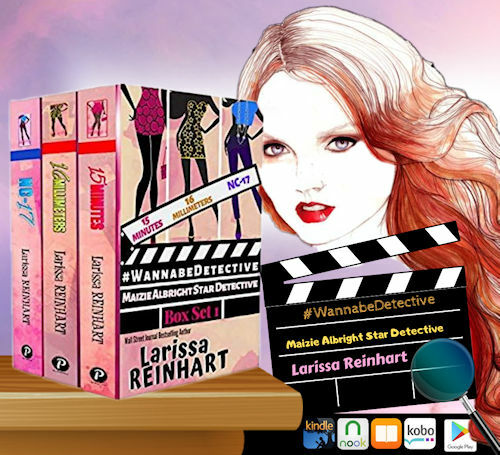 If you aren’t familiar, here’s a great opportunity to jump on the bandwagon, a boxed set of her fabulous WannabeDetective series. This is a brand new boxed set of the first three books in the series. From The Wall Street Journal bestselling author, Larissa Reinhart, the first three books in the Maizie Albright Star Detective series. Hot Mystery Reviews’ “2017 Top 10 Mysteries for Book Clubs,” 2018 Georgia Author of the Year finalist for best mystery, and 2018 Silver Falchion finalist for best cozy mystery and Reader’s Choice Award. So that’s my news today. Lots of books to talk about and two new friends for you guys to meet—if you don’t already know them. In the book world and everywhere else “I get by with a little help from my friends.” And YES! I love the Beatles. Enjoy With A Little Help From My Friends (The cats are dancing to this…and so am I). Carolyn and the dancing critters! P.S. I am gifting a copy of ROCK-A-BYE BONES in my Monthly Giveaway! And there are TON of free gifts and contests from other authors on the WriterSpace contest page RIGHT HERE. Don’t miss out on all the fun and who knows, perhaps you’ll discover new books to enjoy.